Compact Fluorescent lights have come a long way and are now available in a wide variety. CFL’s use up to 2/3’s less energy than incandescent bulbs and last longer. Even better, the newer technology LED lights use less energy than CFL’s. 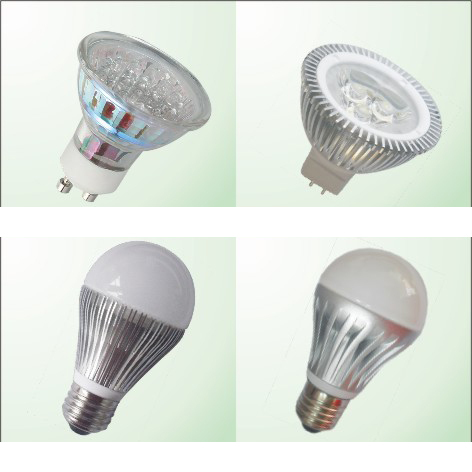 LED’s are now available in a variety of sizes and applications and last longer than CFL’s. There are other health risks associated with the use of CFL’s, such as their electro magnetic fields and dirty power characteristics. Please visit Compact Fluorescent Lighting (CFL) Downsides for more information. There is a responsibility to recycle used CFL’s. For a location near you, visit Earth 911. Here is a YouTube video about recycling CFL’s and Tube Fluorescent light bulbs. * Have an exceptionally long lifespan. They can last up to 5 times longer than compact fluorescent (CFL) bulbs and much longer than traditional incandescent bulbs. A typical LED light that burns 8 hours a day can last about 17 years before it needs changing, making LED bulbs an ideal choice for hard-to-reach lights. * Have no filament or moving parts, making them extremely durable and low maintenance. * Generate almost no heat or UV rays, which can help reduce air conditioning costs in your home and help keep fabrics and furnishings from fading. * Provide greater energy savings by using up to 80% less energy to produce the same amount of brightness as that of CFLs and incandescent bulbs. While LED home lighting may require a higher initial investment, their longevity, low maintenance and significant cost savings make LED bulbs a purchase that can pay for itself over time. Here is an incandescent bulb vs. LED cost comparison chart. I’ve found that there are too many variables to consider in order to compare incandescent light output, lumens, watts, angle, distance vs. the right LED replacement fixture. LED Startlight also has a simple comparison chart for more information on LED replacement bulbs. For more detailed information based on your unique and specific LED lighting requirements, there are companies such as Green Technique that can help with the selection process. This entry was posted in Lifestyle, Power (Electric), Products and tagged break, broken, cfl, compact, environment, fluorescent, green, incandescent, LED, Mercury, products, protocol, recycle, releases, safe, spills, sustainable, toxic, warning. Bookmark the permalink.